How Do You Plan Your Estate When Not All of Your Kids Are in the Family Business? Having your own business can be great, but many business owners tend to put their focus on the day-to-day operations of their business rather than thinking about the long term. It is a common mistake not to think about your business at a time when you may no longer be a part of it. But if you have a child that works in your family business, but your other children don’t, it is especially important to plan ahead to keep peace in the family after you are gone. Before you decide whether you should pass your business on to the next generation in your family rather than selling it to an outside party, you need to be certain that one of your children is willing, and capable, of running your business. After this has been established, you need to start making plans to ensure this happens. A good succession plan will start a minimum of five years before you are planning to retire. However, the sooner you put a plan into place the better, as life can be unpredictable. Unfortunately, we never know when we will become incapacitated or pass away. This means that right time to start planning is always now. It doesn’t matter how long you have been in business; you always need to have a plan in place. When planning for the future of your business, there are several things to take into consideration, especially if not all of your children are involved. While it is important to treat all of your children fairly, this doesn’t necessarily mean that they will be treated in the same manner during your estate planning. Because of this, it is important that you be proactive in making your desires known so that they will be followed long after you are unable to run your business yourself. First, you need to try to minimize the risk of conflict between your children after you are gone. You need to ensure that you have a reliable trustee and that your wishes are recorded so that they can be easily followed. Next, consider the value of your business including any control or management issues. Be sure you identify the responsibilities and roles of those that will be your successors. Third, if you have a sizeable estate, certain financial strategies can be put into place to equalize distributions. 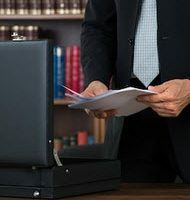 Last, have an experienced estate planning attorney that can analyze how your business is capitalized will ensure that your estate plan is fair for all of your children. How your business is organized will have a direct effect on how it is taxed, treated, and administered upon your death. While it may seem easier to delay or ignore planning your estate for your small business, it can make things extremely difficult for the next generation. That’s why you must take charge of the future of your business to ensure that the fruits of your labor can live on well after your gone. Contact David Toback, Attorney at Law in Tampa today to schedule a consultation and put your desires into writing.